Janice slipped and fell down 14 stairs at work in September 2016, and fractured her right humerus. She underwent ORIF surgery to repair the break, and after a serious infection and further surgeries, much of her humerus was removed, resulting a “floppy arm” due to the non-union above the elbow, and serious nerve damage. She can shrug her shoulder, but has no contraction of biceps or triceps, and passive motion of her elbow and wrist but no active motion. Her arm is mostly numb, and she cannot grip with her right hand, which is very difficult since she is right handed! She has had a lot of pain, especially with palpation, requiring narcotics such as Vicodin, and opioids as a short term solution. 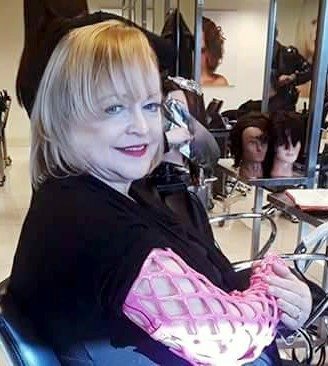 Janice’s doctor told her that further surgeries would come with a 50% chance of loss of her arm, with no improvement in function likely. Janice is only 60 years old, and still has the ability to use her thumb and index finger to pinch, and she was not ready to lose her arm to amputation! So she was referred to occupational therapy where traditional braces were designed for her, but they were so heavy, and caused so much pain, that could not use them. Janice has diabetes, so traditional immobilization options could cause skin ulcers with permanent use. She was not able to shower or bathe, or perform normal daily activities like washing the dishes. 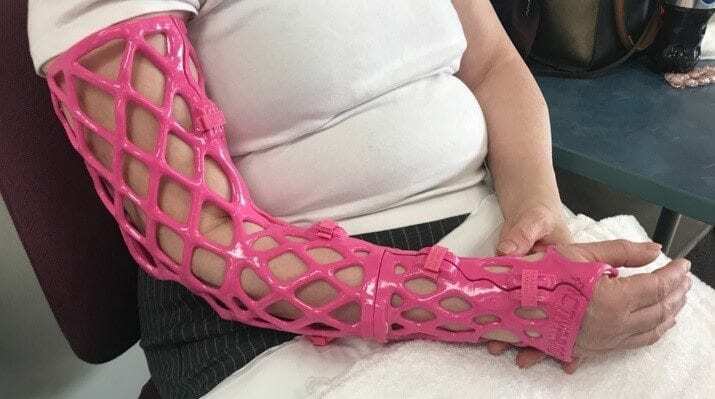 Janice had heard of ActivArmor, and asked her doctor for a prescription. 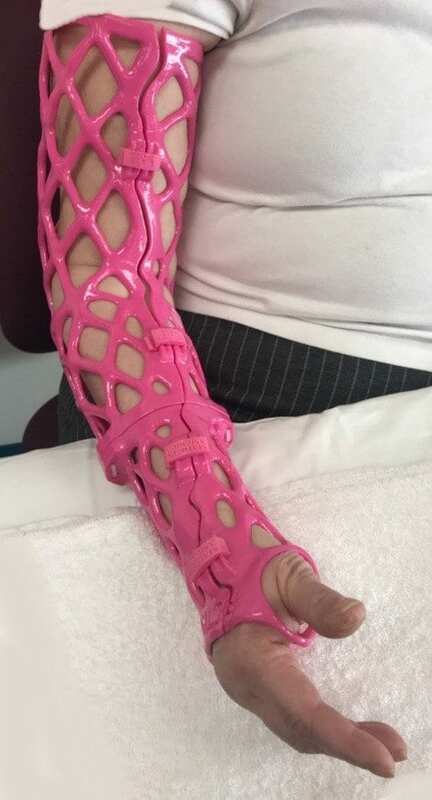 Our staff worked with the therapists at Centura Center for Rehabilitation in Pueblo to create a lightweight, breathable, waterproof*, and hygienic splint – custom designed for Janice’s unique needs and fit exactly for her. ActivArmor not only supports her arm completely, but has reduced her pain so that she was able to completely wean herself off of narcotic medications! She says she sleeps better in ActivArmor, and loves the fact that it is not hot and stuffy, and not itchy or embarrassingly stinky! It was very difficult for her to shower without the use of her arm, and ActivArmor allows her more freedom and improvement in mobility. Janice says that the perception of others complicated her recovery, and credits ActivArmor with reducing the stigma and embarrassment of immobilization devices, and improving her outlook on life.